kursad k (kursadk) added a comment to T63399: Obj exporter does not respect "Apply Modifiers" settings. I think this modifier bug was affecting other exporters as well. kursad k (kursadk) updated the task description for T63399: Obj exporter does not respect "Apply Modifiers" settings. kursad k (kursadk) created T63399: Obj exporter does not respect "Apply Modifiers" settings. 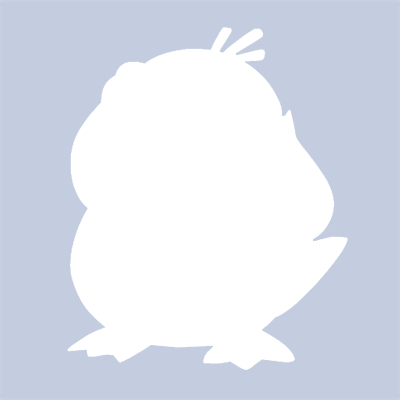 kursad k (kursadk) added a comment to T62109: Paste buffer creates unnecessary new collections. Thanks Bretch, I will test it and follow up here. kursad k (kursadk) added a comment to T62108: Selecting an object is impossible while in armature pose mode. kursad k (kursadk) updated the task description for T62108: Selecting an object is impossible while in armature pose mode. kursad k (kursadk) created T62109: Paste buffer creates unnecessary new collections. kursad k (kursadk) created T62108: Selecting an object is impossible while in armature pose mode. kursad k (kursadk) updated the task description for T62068: View space rotation (or the gizmo for it) is broken. kursad k (kursadk) renamed T62068: View space rotation (or the gizmo for it) is broken from View space rotation is broken to View space rotation (or the gizmo for it) is broken. kursad k (kursadk) created T62068: View space rotation (or the gizmo for it) is broken. kursad k (kursadk) renamed T61211: Rotation Gizmo does not work on Windows when "select_method" setting is set to "Automatic" from Rotation Gizmos does not work on Windows when "select_method" setting is set to "Automatic" to Rotation Gizmo does not work on Windows when "select_method" setting is set to "Automatic". kursad k (kursadk) updated the task description for T61211: Rotation Gizmo does not work on Windows when "select_method" setting is set to "Automatic". kursad k (kursadk) renamed T61211: Rotation Gizmo does not work on Windows when "select_method" setting is set to "Automatic" from Rotation Gizmos does not work on WIndows when "select_method" setting is set to "Automatic" to Rotation Gizmos does not work on Windows when "select_method" setting is set to "Automatic". kursad k (kursadk) created T61211: Rotation Gizmo does not work on Windows when "select_method" setting is set to "Automatic". kursad k (kursadk) awarded rB141c6073ca39: WM: Event simulation support for Python a Love token. kursad k (kursadk) awarded D4189: TopologyRake for dyntopo. a Love token. kursad k (kursadk) added a comment to T61052: X3D import is broken. It can be reproduced by disabling your network connection. Any code that does network access needs to handle exceptions. kursad k (kursadk) updated the task description for T61052: X3D import is broken. kursad k (kursadk) renamed T61052: X3D import is broken from X3D is broken to X3D import is broken. kursad k (kursadk) created T61052: X3D import is broken. William Reynish (billreynish) awarded T59856: Splitting and merging viewports is much harder to achieve in 2.8 a Love token. kursad k (kursadk) added a comment to T59164: Calling the Alembic export/importer from a .py script crashes Blender. Thanks for the follow up, I am going to test it and follow up here. Daniel Paul (DaPaulus) awarded T59856: Splitting and merging viewports is much harder to achieve in 2.8 a Like token. kursad k (kursadk) created T59858: IPython.embed() throws RuntimeError . kursad k (kursadk) renamed T59856: Splitting and merging viewports is much harder to achieve in 2.8 from Splitting and memrging viewports is much harder to achieve in 2.8 to Splitting and merging viewports is much harder to achieve in 2.8.
kursad k (kursadk) updated the task description for T59856: Splitting and merging viewports is much harder to achieve in 2.8.
kursad k (kursadk) created T59856: Splitting and merging viewports is much harder to achieve in 2.8.
kursad k (kursadk) added a comment to T59725: Add-on for generating writing animation. I might be able to take the addon maintainer responsibility if the role is mostly reviewing the addons and communicating with the addon developers for inclusion. Just an idea. I am wondering if someone else also do a basic test with this to see, it crashes their Blender as wel. I cant find why this crashes Blender. kursad k (kursadk) added a comment to D4071: New Drag & Drop System [WIP]. All this sounds really really good, thanks for working on it. I am wondering if this patch can also deal with drag and drop of external meshes like an obj from the system's file browser? Rigth now one has to go through import to do all that but most 3d applications support drag and drop of mesh from outside. kursad k (kursadk) updated the task description for T59164: Calling the Alembic export/importer from a .py script crashes Blender. kursad k (kursadk) renamed T59164: Calling the Alembic export/importer from a .py script crashes Blender from Calling the alembic export/importer from a .py script crashes Blender to Calling the Alembic export/importer from a .py script crashes Blender. kursad k (kursadk) created T59164: Calling the Alembic export/importer from a .py script crashes Blender. kursad k (kursadk) updated the task description for T59107: F3 does not work in Python console. kursad k (kursadk) created T59107: F3 does not work in Python console. kursad k (kursadk) updated the task description for T59094: 2.8 Preferences window does not remember its position. kursad k (kursadk) created T59094: 2.8 Preferences window does not remember its position. kursad k (kursadk) added a comment to T56702: Blender 2.8: Left Click Select. Ok I actually went ahead and mapped right button (well it is top and bottom on a pen) of my Wacom tablet to "Ctrl - Left" ,so my right click is actually a lasso selection now. As far as I can tell this is quite a workflow improvement, at least for me and I can definietely recommend this combo to be part of Blender as an option. I have been a left click (with a wacom tablet) user in Blender for a long time. It worked perfectly for me, especially because I liked the tweaking functionality where I do not need to press a second button to do my model tweaks or animations, just like dragging a node in the node editor. kursad k (kursadk) updated the task description for T58248: Dyntopo sculpting acts very bizarre in this simple scene. kursad k (kursadk) created T58248: Dyntopo sculpting acts very bizarre in this simple scene. kursad k (kursadk) added a comment to T58224: FR: Change the mouse cursor icon according to the editing mode. kursad k (kursadk) updated the task description for T58224: FR: Change the mouse cursor icon according to the editing mode. kursad k (kursadk) created T58224: FR: Change the mouse cursor icon according to the editing mode. kursad k (kursadk) renamed T58212: Move Info panel disappears during edits in Tweak mode from Move Info panel disappears in during edits in Tweak mode to Move Info panel disappears during edits in Tweak mode. kursad k (kursadk) created T58212: Move Info panel disappears during edits in Tweak mode. kursad k (kursadk) placed T58029: Continuous drag/tweak is broken with left select up for grabs. @Brecht Van Lommel (brecht) thanks for the pointers. kursad k (kursadk) renamed T58029: Continuous drag/tweak is broken with left select from Continuous grab is broken with left select to Continuous drag/tweak is broken with left select. kursad k (kursadk) added a comment to D3576: Crashpad support. Which is one of the reasons i picked sentry unlike other solutions in this space, it's opensource and you can run it on your own servers. I hope that Blender Foundation eventually does not rely on Sentry.Io or any other 3rd party entity when it comes this functionalty. This is all how it starts, first you want to know about the crashes, then you want to know what was leading to the crash, then how the user interacts with Blender, then you want everyone to have an account with Blender to use it etc etc. Not saying there are such intentions but feature creeps happen all the time. Also I had seen these exact same foot steps with all the apps I used in the past like Maya, Modo, Mudbox, Photoshop etc etc. kursad k (kursadk) added a comment to T58029: Continuous drag/tweak is broken with left select. I also want to add that this new implemetation breaks the ability to pose the bones with left click (drag and release), which works perfectly with 2.79x or before either with left or right mouse buttons. kursad k (kursadk) updated the task description for T58029: Continuous drag/tweak is broken with left select. kursad k (kursadk) created T58029: Continuous drag/tweak is broken with left select. kursad k (kursadk) updated subscribers of T57989: "saved as a copy" confuses Blender when loading scenes. kursad k (kursadk) added a comment to T57989: "saved as a copy" confuses Blender when loading scenes. @Campbell Barton (campbellbarton) thanks for the speedy fix. Had this bug(or a feature) been recent introduction or been there for quite some time? kursad k (kursadk) updated the task description for T57989: "saved as a copy" confuses Blender when loading scenes. I just added repeat steps to the original entry. I actually just tested this with regular "Save Copy" from the file menu, there is the exact same issue. So this does not seem to be anything about the Python call, might be either a design thing or an issue that was overlooked all this time, I cant be sure. kursad k (kursadk) created T57989: "saved as a copy" confuses Blender when loading scenes. kursad k (kursadk) added a comment to D3966: Mirror Modifier: Bisecting along mirrorplane. That is undestandable. I will try testing it once I am able to setup building Blender on my new desktop. I am just hoping that the addition wont make the existing modifier slower when the new bisect feature is not enabled, ideally it should but I just want to make sure. May I recommend that this feature should be tested on higher resolution meshes against the unmodified mirror modifier to see what the performance penalty is? kursad k (kursadk) added a watcher for Addons: kursad k (kursadk). kursad k (kursadk) added a comment to T57727: Make the “redo” panel also appear in the tool settings tab. Regnas, there are no issues to you, that is perfectly fine. Matter of minor disagreement here. I was trying to make my case about actively active tool panels. Based on the screenshot you provided, the issue is that sizing of the info box constantly changes which I personally find distractiong, however I agree that it is not as extreme as the viewport widgets issue. This is annoying hell in my use case. I can fire move or scale or rotate couple times a second in edit mode, the ui elements appear and disappear so many times makes me dizzy. If all you do is move things here and there, it might not be an issue but if you like to work fast and efficient, this is not the sitaution one wants to be in. I personally find the current way of handling of hiding other stuff on the screen to show operation info to be an half baked idea. You must be thinking about something else. I don't consider this kind of thing as flickering. This is something very natural that happens in every software that has panel that shows properties of several things. kursad k (kursadk) created T57798: Blender Manual download is broken. kursad k (kursadk) added a comment to T57712: Move the transform info away from the header, into the viewport.. Thanks for adding this bug. kursad k (kursadk) added a comment to T41935: Mesh Cache Sequence Modifier . Hey thanks for the patch. Can it support .obj(since it is a very common format) in the future ? mathieu menuet (bliblubli) awarded T34635: A new modifier, Morph a source mesh to a Target mesh modifier a Like token. kursad k (kursadk) added a comment to T34635: A new modifier, Morph a source mesh to a Target mesh modifier . kursad k (kursadk) updated the task description for T34635: A new modifier, Morph a source mesh to a Target mesh modifier . kursad k (kursadk) renamed T34635: A new modifier, Morph a source mesh to a Target mesh modifier from [WIP] A new modifier, Morph a source mesh to a Target mesh modifier to A new modifier, Morph a source mesh to a Target mesh modifier . I started adding some stuff to my progress wiki. I am intending to keep it updated as I go however I do not have a clear timeline since I can do this only on my free time.